Among the shiny copper-bottomed cookware of chefs you will also find a few bulky black pans that look like they just fell out of a wagon heading west. What is the appeal of these thick black pans that rust when you wash them and are so cheap they even sell them at Walmart? The unique qualities of cast iron make them quite practical for hard times. Their thick metal handles campfire or wood stove cooking well, and the black surface heats up well in parabolic solar cookers. 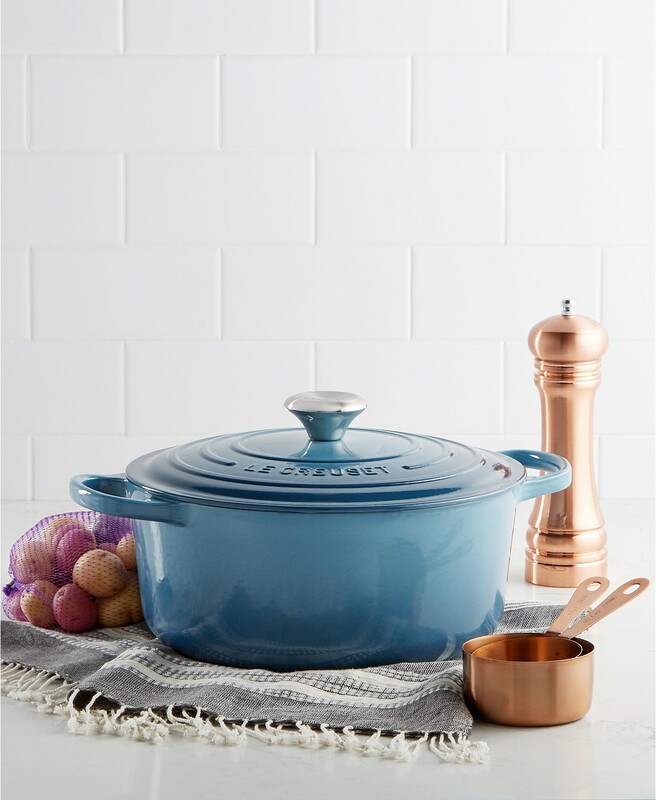 The simplicity and durability of iron ore cast into pans dates back centuries when most people were still cooking over open fires. The most common was a deep dish pot called a “spider” with a long handle, three legs and a lid. It could be set among coals without smothering the fire or be easily suspended over a larger fire by the handle. It was used for everything and was the most important item in the pioneer kitchen. Similar cast iron pots called “dutch ovens” are popular among camping enthusiasts, especially after the cook learns how to cook with the variable heat from the fire. The most popular form of modern cast iron cooking is the skillet, as more people become frustrated with their Teflon coated pans that scratch easily and off-gas if the pan ever gets above 500 degrees F. Many people are also learning how dangerous aluminum cookware is especially when rubbed and scratched frequently. A few researchers have linked aluminum toxicity with Alzheimer’s and other mental disorders. Cast iron handles high heat just fine, from the stovetop or oven to the fire pit. The thick metal is nearly indestructible and works well with metal utensils. It is so durable it can be cleaned by simply burning out any leftover bits of food, or wiped out with sand if no water is available for cleanup. Cast iron pans are truly cast (as opposed to pressed or rolled like steel) by pouring molten iron into stiff sand and clay molds. Iron ore casting is cheap compared to the processing and rare metals needed for carbon steel or stainless steel. Cast iron is not as strong without these additions, however, so cast iron pans are made thicker to withstand the high, uneven heat of cooking. The sand mold gives the pans their distinctive rough surface on the outside although the inside cooking surface is milled to be smooth. The metal is treated with a cheap oil while still warm to “season” it, an age-old process that turns the iron black and creates a thin barrier against water and rust. Which Cast Iron Brand is “Best”? Look for pans made in the USA or Europe for good quality iron. Many manufacturers like Lodge are shipping their products from China. The best pans are passed down in the family or found at antique stores. 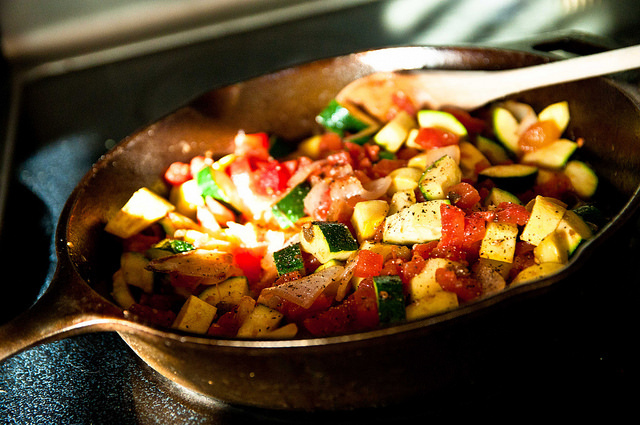 Old cast iron pans were handmade from better quality steel to be thinner and lighter and easier to cook with. Old pans are frequently smooth and slightly misshapen. Sought-after brands are Wagner and Griswold but the oldest ones may not have any markings at all. There is some discussion about the best way to keep cast iron “seasoned” so it stays rust-free. A layer of oil naturally keeps water off, but true seasoning forms a barrier where it contacts the iron. Higher quality fats with omega-3 fatty acids oxidize and break down into a polymer that forms a hard surface. Some people have had success using very thin layers of 100% flaxseed oil to season their pans—essentially getting a food-grade version of linseed oil varnish. A century or more ago they just seasoned their pans by frying up some lard, which gave good results. Lard isn’t as common in the kitchen anymore, but bacon is reasonably close.